1. Since 2004, the Security Council has been regularly calling upon “the parties and States of the region to continue to cooperate fully with the United Nations to end the current impasse and to achieve progress towards a political solution”. 2. Responding to this call by the international community, the Kingdom of Morocco set a positive, constructive and dynamic process in motion, and pledged to submit an autonomy proposal for the Sahara, within the framework of the Kingdom’s sovereignty and national unity. 3. This initiative is part of the endeavors made to build a modern, democratic society, based on the rule of law, collective and individual freedoms, and economic and social development. As such, it brings hope for a better future for the region’s populations, puts an end to separation and exile, and promotes reconciliation. 4. Through this initiative, the Kingdom of Morocco guarantees to all Sahrawis, inside as well as outside the territory, that they will hold a privileged position and play a leading role in the bodies and institutions of the region, without discrimination or exclusion. 5. Thus, the Sahara populations will themselves run their affairs democratically, through legislative, executive and judicial bodies enjoying exclusive powers. They will have the financial resources needed for the region’s development in all fields, and will take an active part in the nation’s economic, social and cultural life. 6. The State will keep its powers in the royal domains, especially with respect to defense, external relations and the constitutional and religious prerogatives of His Majesty the King. 7. The Moroccan initiative, which is made in an open spirit, aims to set the stage for dialogue and a negotiation process that would lead to a mutually acceptable political solution. 8. As the outcome of negotiations, the autonomy statute shall be submitted to the populations concerned for a referendum, in keeping with the principle of self-determination and with the provisions of the UN Charter. 9. To this end, Morocco calls on the other parties to avail the opportunity to write a new chapter in the region’s history. Morocco is ready to take part in serious, constructive negotiations in the spirit of this initiative, and to contribute to promoting a climate of trust. 10. To achieve this objective, the Kingdom of Morocco remains willing to cooperate fully with the UN Secretary-General and his Personal Envoy. 11. 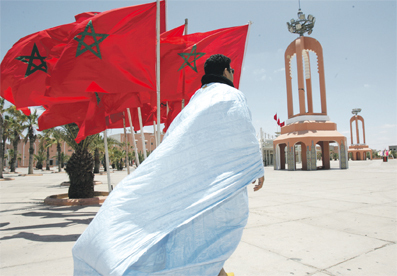 The Moroccan autonomy project draws inspiration from the relevant proposals of the United Nations Organization, and from the constitutional provisions in force in countries that are geographically and culturally close to Morocco. It is based on internationally recognized norms and standards. • proceeds from the Region’s assets. • The Kingdom’s juridical order. 15. State responsibilities with respect to external relations shall be exercised in consultation with the Sahara autonomous Region for those matters which have a direct bearing on the prerogatives of the Region. The Sahara autonomous Region may, in consultation with the Government, establish cooperation relations with foreign Regions to foster inter-regional dialogue and cooperation. 16. The powers of the State in the Sahara autonomous Region, as stipulated in paragraph 13 above, shall be exercised by a Representative of the Government. 17. Moreover, powers which are not specifically entrusted to a given party shall be exercised by common agreement, on the basis of the principle of subsidiarity. 18. The populations of the Sahara Autonomous Region shall be represented in Parliament and in the other national institutions. They shall take part in all national elections. 19. The Parliament of the Sahara autonomous Region shall be made up of members elected by the various Sahrawi tribes, and of members elected by direct universal suffrage, by the Region’s population. There shall be adequate representation of women in the Parliament of the Sahara autonomous Region. 20. Executive authority in the Sahara autonomous Region shall lie with a Head of Government, to be elected by the regional Parliament. He shall be invested by the King. The Head of Government shall be the Representative of the State in the Region. 21. The Head of Government of the Sahara autonomous Region shall form the Region’s Cabinet and appoint the administrators needed to exercise the powers devolving upon him, under the present autonomy Statute. He shall be answerable to the Region’s Parliament. 22. Courts may be set up by the regional Parliament to give rulings on disputes arising from enforcement of norms enacted by the competent bodies of the Sahara autonomous Region. These courts shall give their rulings with complete independence, in the name of the King. 23. As the highest jurisdiction of the Sahara autonomous Region, the high regional court shall give final decisions regarding the interpretation of the Region’s legislation, without prejudice to the powers of the Kingdom’s Supreme Court or Constitutional Council. 24. Laws, regulations and court rulings issued by the bodies of the Sahara autonomous Region shall be consistent with the Region’s autonomy Statute and with the Kingdom’s Constitution. 25. The Region’s populations shall enjoy all the guarantees afforded by the Moroccan Constitution in the area of human rights as they are universally recognized. 26. An Economic and Social Council shall be set up in the Sahara autonomous Region. It shall comprise representatives from economic, social, professional and community groups, as well as highly qualified figures. 27. The Region’s autonomy statute shall be the subject of negotiations and shall be submitted to the populations concerned in a free referendum. This referendum will constitue a free exercise, by these populations, of their right to self-determination, as per the provisions of international legality, the Charter of the United Nations and the resolutions of the General Assembly and the Security Council. 28. To this end, the parties pledge to work jointly and in good faith to foster this political solution and secure its approval by the Sahara populations. 29. Moreover, the Moroccan Constitution shall be amended and the autonomoy Statute incorporated into it, in order to guarantee its sustainability and reflect its special place in the country’s national juridical architecture. 30. The Kingdom of Morocco shall take all the necessary steps to ensure full integration, into the nation’s fabric, of persons to be repatriated. This will be done in a manner which preserves their dignity and guarantees their security and the protection of their property. 31. 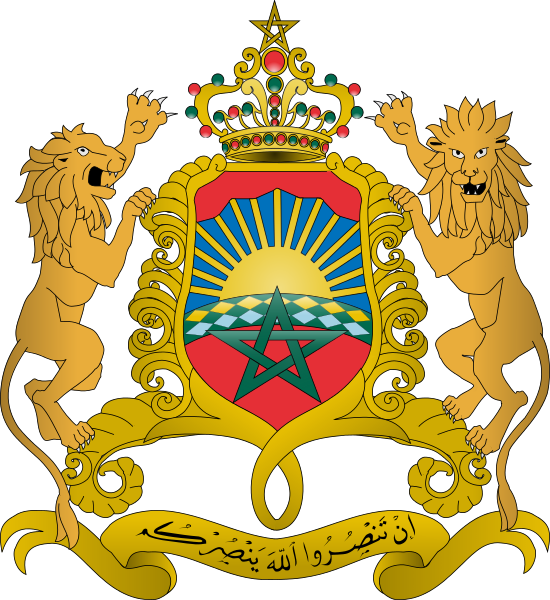 To this end, the Kingdom of Morocco shall, in particular, declare a blanket amnesty, precluding any legal proceedings, arrest, detention, imprisonment or intimidation of any kind, based on facts covered by this amnesty. 32. Once the parties have agreed on the proposed autonomy, a Transitional Council composed of their representatives shall assist with repatriation, disarmament, demobilization and reintegration of armed elements who are outside the territory, as well as with any other action aimed at securing the approval and implementation of the present Statute, including elections. 33. Just like the international community, the Kingdom of Morocco firmly believes today that the solution to the Sahara dispute can only come from negotiations. Accordingly, the proposal it is submitting to the United Nations constitutes a real opportunity for initiating negotiations with a view to reaching a final solution to this dispute, in keeping with international legality, and on the basis of arrangements which are consistent with the goals and principles enshrined in the United Nations Charter. 34. In this respect, Morocco pledges to negotiate in good faith and in a constructive, open spirit to reach a final, mutually acceptable political solution to the dispute plaguing region. To this end, the Kingdom of Morocco is prepared to make a positive contribution to creating an environment of trust which would contribute to the successful outcome of this initiative. 35. The Kingdom of Morocco hopes the other parties will appreciate the significance and scope of this proposal, realize its merit, and make a positive and constructive contribution to it. The Kingdom of Morocco is of the view that the momentum created by this initiative offers a historic chance to resolve this issue once and for all.